Mississauga Tool & Machine Company LTD.
Mississauga Tool & Machine Company LTD. creates top-quality metal stamping dies. Working hand-in-hand with MTM Stamping Ltd., a business equipped with state-of-the-art stamping machines, we are able to deliver a wide range of metalworking services tailored to meet your unique needs. Our tool shop is composed of 15-20 toolmakers who work hard to provide you with premium-quality parts that you won’t find elsewhere. Choose us and discover why we are the preferred metal stamping experts in Mississauga, ON and its surrounding areas. Our company is committed to providing you with high-grade metal stamping dies and cost-efficient metalworking services. We make use of our decades of experience and state-of-the-art equipment to ensure that your needs are properly addressed. Book an appointment today. Give us a call to learn more about our company and the services we offer. Copyright © Mississauga Tool & Machine Company LTD. and MTM Stamping Ltd., 2018. All rights reserved. History and the Inception of MTM Stamping Ltd. Since its founding in 1966, Mississauga Tool & Machine Company LTD. has become a leader in automotive tool and die manufacturing. Our well-organized tool shop, comprised of professional toolmakers with an average employment of 15 years, will build a line, progressive, or transfer tooling to suit your needs. We provide designing, laser cutting, wire EDM, and CNC machining services through our assortment of dependable suppliers. In 1991, Mississauga Tool & Machine Company LTD. set up a stamping operation under its roof to accommodate the requests of one of our customers, hence the inception of MTM Stamping Ltd. Since then, MTM Stamping Ltd. has more than tripled its press capacity, multiplied its outgoing product tenfold, and acquired ISO 9002 registration. 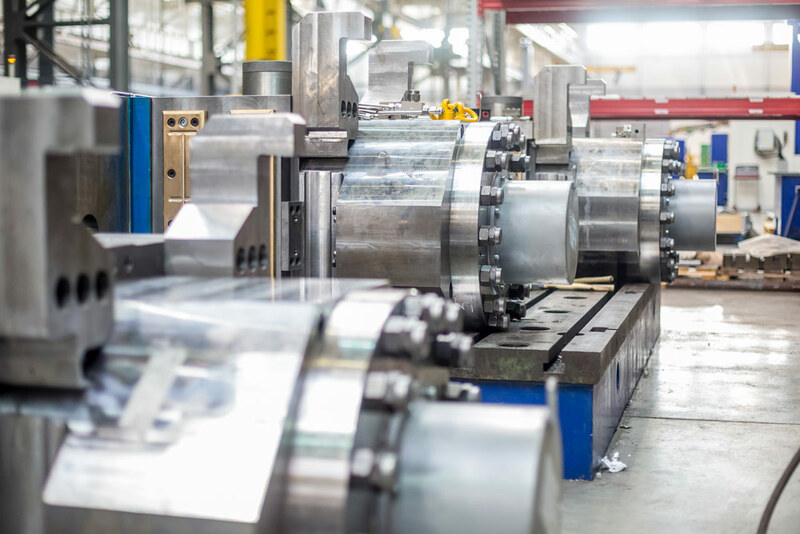 MTM Stamping Ltd. can provide service as a tier 2 supplier for large companies picking up the overflow of smaller jobs, which may not provide significant gain for your company. In turn, we can utilize our resources to create the best solution for your organization and ours. MTM Stamping Ltd. has become a reliable and dependable source to clients in the demanding automotive industry and although our principal interests lie with progressive coil-fed dies, we are also able to accommodate certain welding and line die production requirements. At MTM Stamping Ltd., we pride ourselves on our dedication to quality, which shows through our outstanding quality record. In conjunction with each other, Mississauga Tool & Machine Company LTD. and MTM Stamping Ltd. can design and build your die, run production, and inspect sample and production pieces. We would like to think it possible that a future business relationship can be built with your company, and should you require any further information, we encourage your inquiries.